My Opinion: 4.7 || An intermittently strong but ultimately flawed anti-war film. Strong acting, cinematography, and action staging are undermined by forced and wooden dialogue and too many credibility-straining moments. 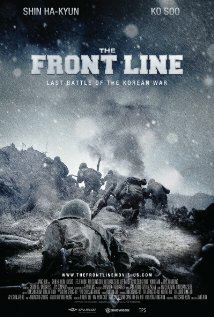 SYNOPSIS (Courtesy of Netflix): When a South Korean commander is killed by a friendly bullet during a cease fire, investigator Kang Eun-Pyo’s trail leads him to a remote hill region. There, a once-meek 20-year-old and his small company seem to be fighting a different war. Strengths: Director Hun Jang knows what he’s doing in an action scene. There’s a debt to Saving Private Ryan in the many vivid scenes of disorienting carnage, which I mean as a compliment. And, like that film, the powerful realism of the combat scenes is betrayed by occasional daftness and screenwriter contrivance elsewhere. In this case, it’s not sun-dappled schmaltz that gets in the way but excessive striving to make points. After witnessing expert depiction of the hell of war, we don’t need dialogue that repeatedly informs us that war is hell. Too often, we hear the filmmakers speaking, not the characters, and the point they’re making is not a subtle or surprising one. As an example of the excessive dramatization: I truly lost count of the number of times soldiers and officers in the same army aimed guns at each other’s heads to prove a point. I think there may have been four scenes in a row. This kind of thing is effective once or twice — like the tried-and-true dramatic image of a character cocking a gun — but a director who goes to the same device over and over is just using a dramatic ploy to amp up the tension. The biggest problem, though, arrives at the end. I don’t know every detail of the final 12 hours of the Korean War, but I watched the final half hour with increasing dubiousness. With the already-signed armistice set to take effect in only a few hours — and with the border already set at the 38th Parallel — the armies nevertheless hurl themselves at each other with abandon, with a mortality rate that seems to hit 100% as every single character on both sides (save one) is blown to bits or stabbed through the heart or beaten to death. To hammer home their point about the senselessness of war, the filmmakers have staged a climax that places the point in bold underlined all-caps italics and then draws a big circle around it. They seem to believe that unless they kill absolutely everyone, we somehow won’t sense the tragedy. Technical: As mentioned above, the visuals are frequently extraordinary. The clarity of the image and depth of field is outstanding — frequently a joy to look at. The palette tends to be aggressively gray-blue, which not exactly novel, but it’s carried off with great skill. One of the better looking films I’ve seen in a long time. Acting: The script doesn’t always do them favors, but the actors consistently do a strong job. The most conspicuous exception is the American general who has the film’s first lines — really not good. Story Telling: The film lacks a strong narrative focus. We start off with one plot that gets resolved half-way through and isn’t replaced by anything. The film doesn’t drag, mostly thanks to the strength of the visuals, Hun Jang’s flair for action, and the strong acting — but the film takes on an episodic feel, drifting from one thing to another. The central conceit, in which soldiers on the two sides pass letters and goods to one another, is fairly interesting, but the filmmakers wind up putting too much weight on it. Best Scene: There’s a night scene in which the Republic of Korea troops wait for an attack that they know is coming, staring out in the darkness. When the Chinese finally appear in vast and unstoppable numbers, it’s terrifying.